Bills, bills, bills! We have them in our names, our wallets, and literally everywhere! But, when you want to find them, they are nowhere to be seen. We can definitely suggest ways to improve your memory or organizational skills, but we can give you an easier fix for the problem - Best Receipt Generator Tools which not only can be used to generate fake receipts for Walmart but for many professional templates and ones that you can customize as well! In this article, we'll guide you through the best fake Walmart Receipt generator tools available online (mostly for free). We have all been there, trying to create invoices while running businesses whose receipt-maintaining processes might just get annoying or out of hand. To abstain from such predicaments, the Fake Walmart Receipt Generators are essential. The Fake Walmart Receipt Generator Tools can also be used to prank your family or friends about buying something expensive or hilarious - it all lies in your creative pranking skills! In case you manage to find an old but valuable receipt, you might not redeem anything from it because it is in tatters. To replace it, you can use Walmart Receipt Generator Tools. Available on the World Wide Web, they are a set of websites or generators that can create receipts or invoices according to the user’s needs. All you have to do is find the right template for your bills to be generated. But, finding the best website to do your receipt generation can be a tedious task, so we will list out the Best Fake Walmart Receipt Generator Tools available to use and that works to our wish and will (and has no scams or advertisements that annoy us too). This website provides an easy tool to ‘Make Receipts’ - not just from Walmart but from a whole range of suppliers. They offer one free receipt style for their users, and will require you to sign up to their various plans to access your favorite templates. Their International receipts are supported in Dollars, Euros, and British Sterling only. Their Pro and Enterprise Plans allow you to use all their templates as many times as you want. Since you might use just one template for Walmart, you might as well go ahead and use the available free one. But, if you have already used your lucky card, or if you want to explore using ExpressExpense, the pricing for Pro is $10 billed annually and $30 billed annually for Enterprise. They have another plan called Standard which is at $6 and allows you half of the available list of receipt styles. It is a simple and built-to-use platform to generate your Walmart receipts. However, do remember to keep a scanned copy of the receipt for future use. In case, you don't own any good receipt scanner then DefinitePoint might be a perfect solution for the same. 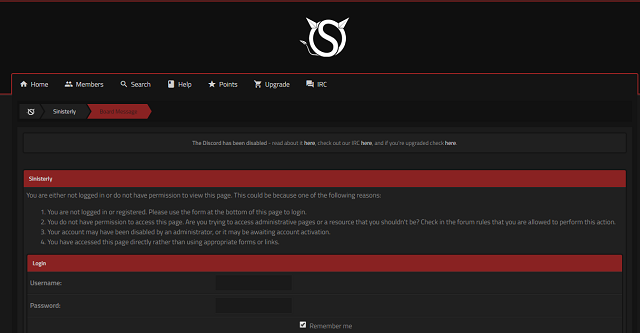 This website definitely does have the touch of an Illuminati-like secret society. Sinister and emboldening design and efficiency too. However, users need to be logged in to generate fake receipts on their website. It is free to sign up and will ask a few necessities like DOB, Security Questions, etc. and then you can generate your fake receipts. Sinisterly is more like a blog where users can create tools, and DarkProof is the one that is providing us with Fake Receipt Maker through Sinisterly. Invoice Home tool is also free fake Walmart receipt generator and has over 100 free invoice templates that can readily be edited and downloaded in a printable format. However, you will have to create your own templates or see one similar to Walmart in the available 100 templates. It is easy to use Invoice Home and can quite instantly be emailed. You can switch to various templates available for a new bill such as Invoices, Tax Invoices, Receipt, Sales Receipt, Quote, Estimate, Credit Memo, Purchase Order and more on Invoice Home. Custom Receipt Maker is another online Walmart Fake Receipt Generator available online that can be utilized to the maximum. You will have to know how to build your template for Walmart to be able to create a Walmart receipt. However, this tool is absolutely free to use, so it is most certainly worth the effort to prepare one and prank your friends! 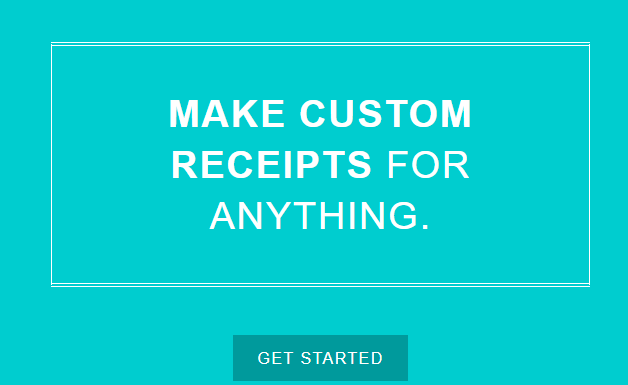 Samahope organization is useful to make custom receipts for any of your businesses. And for sure, it contains Walmart too. After hitting ‘Get Started,’ you need to select the right template to begin working with your receipt generation. 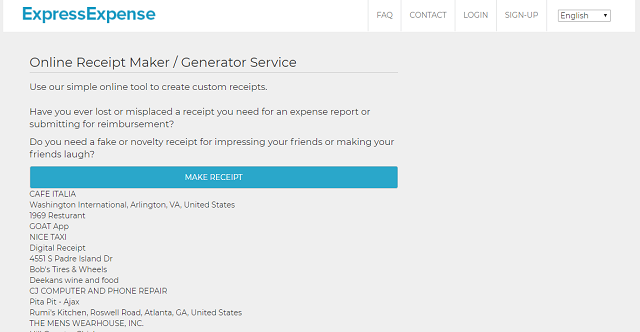 Invoice Generator is one of the best Fake Walmart Receipt Generator Tools that you can use to get your receipts immediately. You can customize your invoice entirely by adding logos, changing the Currency, and all the information such as Date, Time, and more, to construct it to look as perfect as the real one. That is not all - You get complete invoicing systems in case you wish to generate a mass number of Walmart receipts at a time. nuTemplates is a repository of receipt and invoice templates that users can utilize to produce the same bills as the original ones. For Walmart too, it contains the official printable template to which alterations may be done as required. You will have to browse through some available lists to get Walmart because nuTemplates has over 1000 available templates. I hope this article has helped you create your bills for reasons however good or sinister. Of the many available tools online, we have filtered out the spam including the tools that demand human verification or ask you to perform useless surveys that will lead you to no fake receipts, but a loss of valuable information. Hence, you will find no better tools than these Top Fake Walmart Receipt Generator tools online! Gracias and Arrivederci, until next time!